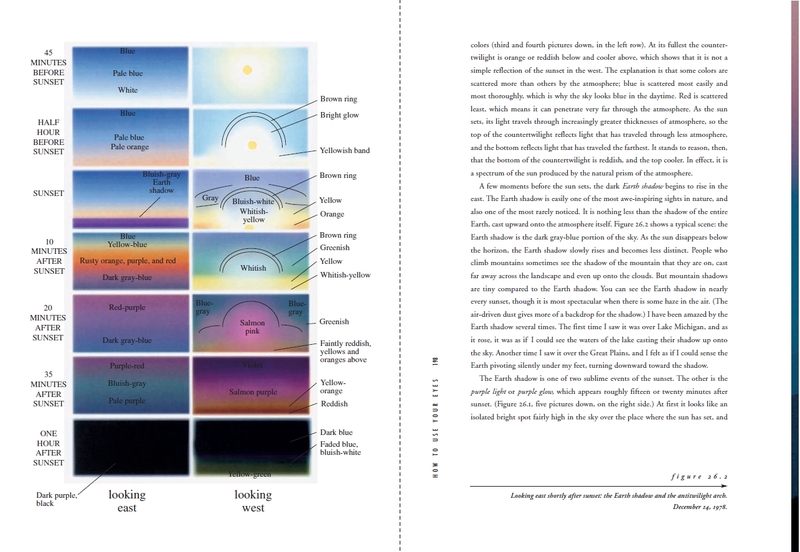 Data Deluge: Who Looks East at Sunset? From James Elkins' book How to Use Your Eyes is this record of a sunset - looking both West and East. Gerard Manley Hopkins: “If a very clear, unclouded sun is gazed at, it often appears not convex, but hollow; – swimming, like looking down into a boiling pot or swinging pail, or into a bowl of quicksilver shaken: and of a lustrous but indistinct hue.” From HERE. More on Hopkins, Sunsets and Krakatoa HERE.